Assassin's Creed IV Black flag puts you in the shoes of Edward Kenway, Father of Haytham Kenway and grandfather of Connor. You play the role of a greedy and cynical pirate sailing the caribbean. On this journey you roam all over islands and city in search of an observatory that is said to be able to locate anyone in the world and look through their eyes. 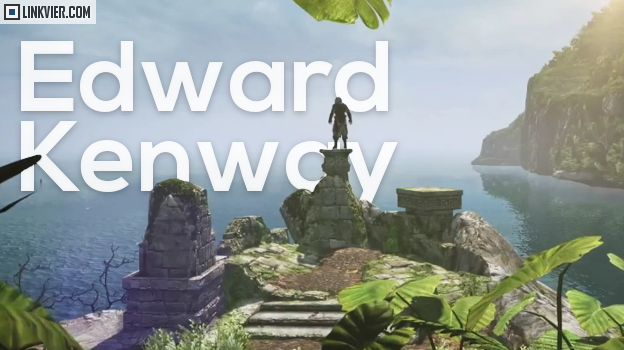 Edward intended to sell the location of the observatory to either the Assassins or the Templars. During the process of discovering the location of the observatory you meet a few notable characters in the history of pirates such as Edward Thatch aka Blackbeard and Charles Vane. You also meet a pirate by the name of James Kidd who is said to be the illegitimate child of the infamous William Kidd, Well as it turns out he is a she and not just any she but Mary Reed a member of the Assassin Order and through her you are introduced to them but Edwards attitude toward taking orders and following rules isn't on the same page and goes on his own journey to find the observatory. 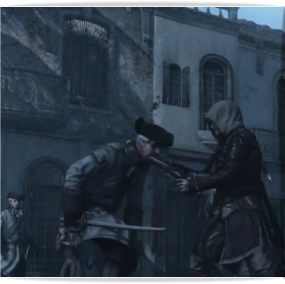 In the game you also witness the growth of his attitude towards the world as he learns more of the conflict between the Assassins and the Templars. Towards the end he learns that the assassins are trying to keep mankind a free and prosperous race and that the Templars are in search of true order and would rather have the world become mindless and under their control. Close to the end of the game he is recruited as an Assassin and dedicates his life to the order. The Caribbean and the Pirate theme is something I was not happy about and to be fair I had low hopes for the game. I have always been a huge fan of the Assassins creed franchise so going from the amazing Ezio trilogy to an incomplete-feeling assassins creed III I didn't think this game was going to be as enjoyable as it was. The world felt wide and full of life, There is always something to do and places to explore. The Jackdaw (Edwards ship), can be upgraded with new sails, guns, and armor. Edwards arsenal is also full of weapons that can be upgraded and armor that can be crafted by hunting and searching for the right supplies. You can also go diving and discover all sorts of things underwater. The game's button layout is very similar to the one in Assassins Creed III, It's very fluid and doesn't feel awkward at all. One thing I'd like to point out is when engaged in a naval battle it can be a little confusing to learn how to use the weapons on the Jackdaw I had trouble learning to use the mortars and chain shot. Roaming in free mode around the world is very fluid and I haven't encountered any glitches with the water and the ship whatsoever, the effort it took the developers to equally balance the waves, weather, and ship's movement and splashing is very notable.